Replication Topology is the route by which replication data travels throughout a network. Replication occurs between two domain controllers at a time. Over time, replication synchronizes information in Active Directory for an entire forest of domain controllers. To create a replication topology active directory must determine which domain controller&apos;s replicate data with other domain controllers. The Knowledge Consistency Checker (KCC) is a built-in process that runs on each domain controller and regenerates the replication topology for all directory partitions that are contained on that domain controller. The KCC runs at specified intervals of every 15 minutes by default and designates replication routes between domain controllers that are most favorable connections that are available at the time. To generate a replication topology automatically, the KCC evaluates information in the configuration partition on sites, the cost sending data between these sites (cost refers to the relative value of the replication paths), any existing connection objects, and the replication protocols that the KCC can domain controller&apos;s directory partitions to other domain controllers. If replication within the site becomes impossible or has a single point of failure, the KCC automatically established new connection objects between domain controllers to domain Active Directory replication. A global catalog server is a domain controller that stores two forest-wide partitions-the schema and configuration partitions plus a read/write copy of the partition from its own domain and a partial replica of all domain partition in the forest. These partial replicas contain a read only subset of the information in each domain partition. 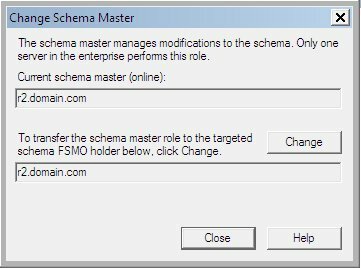 When you add a new domain to a forest, the configuration partition also adds the same information about the new domain. 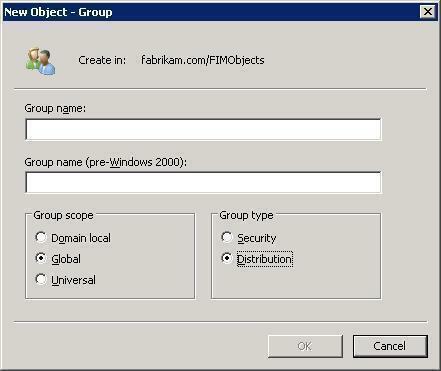 Active Directory replicates the configuration partition to all domain controllers, including global catalog servers, though normal forest-wide replication. Each global catalog server becomes a partial replica of the new domain by contacting a domain controller for that domain and obtaining the partial replica information. The configuration partners also provide the domain controllers a list of all global catalog servers in the forest. Global Catalog servers register special DNS records in the DNS zone that corresponds to the forest not domain. These records, which are registered only in the forest root DNS zone, helps client and servers locate global catalog servers though out the forest. In Active Directory, sites help define the physical structure of a network. A set of TCP/IP subset address ranges defines a site, which in turn defines a group of domain controllers that have similar speed and cost. Sites consist of server objects, which contain connection objects that enable replication. When you create additional sites, you must select at least one site link for each site, unless a site link is in place, connections cannot be made between computers at different sites, nor can replication occur between sites. Additional site links are not created automatically; you must use active directory sites and services to create them. When you create the first domain in a forest, active directory creates a default site link named DEFAULTSITELINK. It indicates the first site and is located in the IP container in active directory. You can rename the site link. To use sites to manage replication between sites, you create additional sites and subnets and delegate control of sites. Creating a site involves providing a name for the new site and associating the site with a site link. 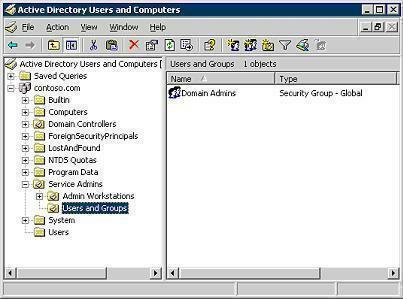 To create sites, you must log on as a member of the Enterprise Admin group or the Domain Admin group in the forest root domain. A site link bridge creates a chain of site links that domain controllers from ifferent sites in the site links can use to communicate directly. Bridging is useful to constrain the KCC to particular paths in the site link topology. By default, site link bridging is enabled and all site links are considered transitive. That is, all site links for a given transport implicitly belong to a single site link bridge for that transport. So, in a fully routed IP network, it is not necessary to configure any site link bridges. If your IP network is not fully routed, you can disable site link bridging to urn off the transitive site link feature for the IP transport, and then configure site link bridges to model the actual routing behavior of your network. The Bridgehead server is a domain controller that you designed to send and receive replicated data at each site. The bridgehead server from the originating site collects all of the replication changes and then sends them to the receiving site&apos;s bridgehead server, which replicates the changes to all domain controllers in the site. The inter site topology generator in an active directory process that defines the replication between the sites on a network. A single domain controller in each site I automatically designated to be the inter-site topology generator. Because this action is performed by the inter-site topology, you are not required to take any action to determine the replication topology and the bridgehead server roles. It automatically selects one or more domain controllers to become bridgehead servers. This way, if a bridgehead server becomes unavailable, it automatically selects another bridgehead server, if possible. It runs the KCC to determine the replication topology and resultant connection objects that the bridgehead servers can use to use to communicate with bridgehead server of other sites. To refresh replication topology, first determine whether you want to refresh the replication topology between sites or the replication topology within a site. 259 queries in 0.560 seconds.